The transport holster for pliers par excellence. 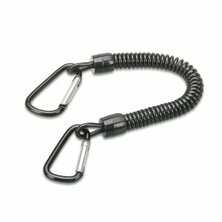 The clip can be easily hooked into the belt and holds securely. Thanks to the Plier Bag, the tongs are always tidy and only one handle removed. You have questions about Iron Claw - Plier Bag?